Telenor Pakistan Jobs 2018 Applications are invited for various Jobs/ Career Opportunities. 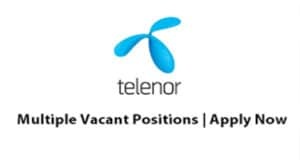 Entry Level Induction (Fresh Graduates Recruitment) Programs of Telenor are telenor Internship Program , Telenor Top Trainee Program, Telenor Open Mind Trainee Program & Telenor Naya Aghaz program for Females. 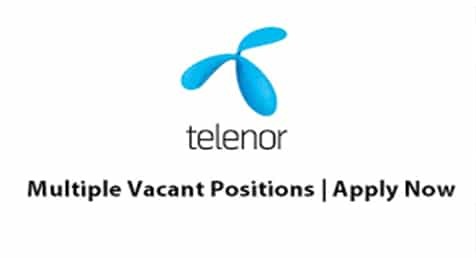 Telenor Pakistan Jobs 2018 for Male & Females are opened in various Departments available at www.telenor.com.pk careers.